Country Mouse Tales: Your Favorite Things ALSO...I Want You To Have This! Your links are messed up! They all have two http:// in them. This doesn't count as my giveaway entry. My mom got two sets for us last Christmas, so one set is at our house and one set is at the lake. I think they're great, especially for the price. I am a believer in quality flatware. I do not mean the 200 a place setting like for your dress up dishes, but something nice with some heft to it. This is the flatware that we got as a wedding gift, I like it alright. Boring but nice. That peacock color is to die for! Well, I really stumbled upon my current flatware by accident. We have a JC Penney outlet here, and one day I found this set....link below there. It is really great for everyday use. I love it. It cleans well, and has held up wonderfully. And the best part about it was it was only $19.99 for the whole complete set which is 8 place settings. Below is the link, but on the penny's site it is on sale...just not at the price I stole this set for! 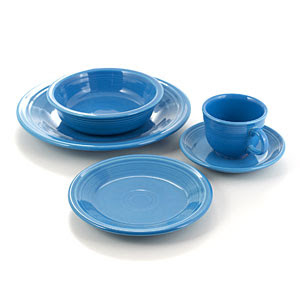 by the way, I love your fiesta ware, and the blue is wonderful. Very cheery. we use this flatware from odeida, but i also love this set as well. and to help with your fiesta obsession, i also have 8 sets of fiesta flatware in four different colors: tangerine, shamrock, peacock, and sunflower. Hi! 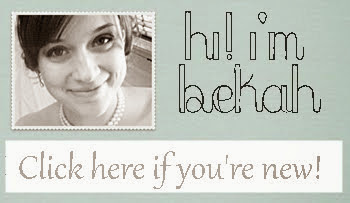 I just discovered your blog and am loving it! As for flatware, our current set is a mix of the 4/$1 variety from Dollar General and Wally World, with a few garage sale pieces mixed in. Classy right? We just added Oneida Moda 46-Piece Flatware Set from BB&B ($129). Love it - and goes great with our growing Fiesta collection. Very clean lines, well made, but not too expensive. is it too late to enter...what do i have to do exactly...email me w/ the details...i have missed a few blog postings huh...i thought i was up to date...man...i stink as a blogger. crud. We have a set of silverplate hiding in here. And it has been used oh.....2 times. What a pain. I do love my flatware, it is simple and heavy, and actually I don't know the design name. We have a line of antique dishware that was made in Canada, very similar in color and shape to Fiesta Ware, it was called Medalta. It still is beautiful. oh, love the color! we use... "GORHAM TULIP FROSTED 5PC PL SET STAINLESS" flatware. its on sale at Macys right now for $30! I don't need the fiesta ware but I wanted to let you know what flatware we use. We have Gingko Lafayette from Bed, Bath & Beyond. It was on our registry but no one purchased it so I went there with a 20% off coupon and gift cards. =) It was $100--but it's easy to find the 20% off coupons which brings it down to a very reasonable $80 for a 45-piece set. It's sturdy, has a nice weight to it, fits well in your hand, and I like the hammered finish on the handles. Plus- B,B&B has a great return policy! We currently have 2 different sets in our drawer. One is a Martha Stewart set from Kmart and one is a set from Target (their home brand). Right now I prefer the Target brand, it has a rounded end. The MS has a squared end. I like the feel of the Target one in my hand. I never would have chose a set based on the feel of it, but now that I have to to chose from- I chose comfort. We also own a more expensive set that we received for our wedding (7yrs ago) I never took them out because we never had dinner parties (no space in condo) and I didn't want to lose one with daily use. Aren't forks/knives like socks sometimes, or is my hubby losing them when he brings them to work-damn him! Love the fiesta ware. I am looking for new fun dishes and have been considering them...Not sure what color- but like the idea of all of them :) How are the mugs?? The handle seems uncomfortable?? All right I will shut up now!! Here is some whimsical flatware, with brushed steel stripes.